I recently had the pleasure of visiting a state of the art Veterinary Clinic in Florida. Do you know what this weird looking piece of equipment is? 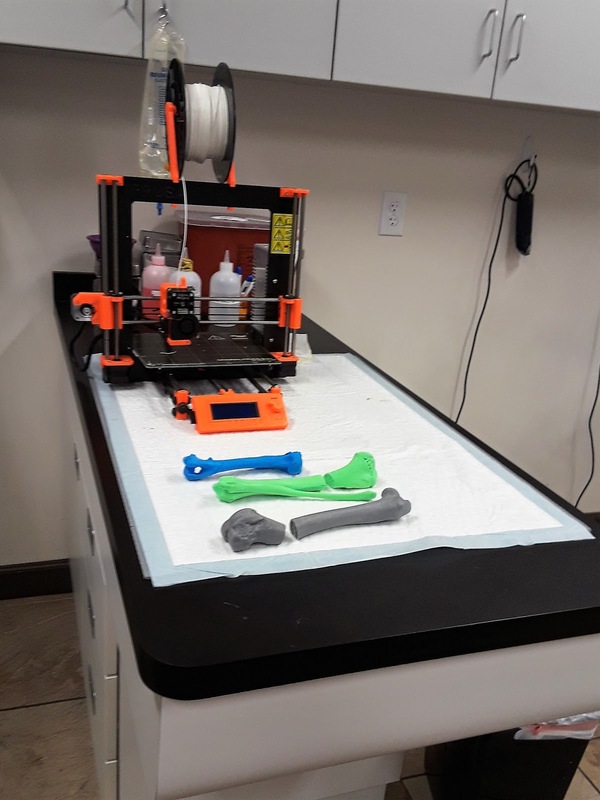 I was really impressed that this Veterinary clinic is using 3D printing to help repair leg injuries in pets! I was pretty impressed when I learned that it's a 3D printer used to help Veterinarians caring for pets with leg injuries. I find that pretty fascinating! Phoebe is reading up on how 3D printing is used in Vet care! Check back with us in a few days when I share more about the high tech Veterinary care pets are getting at this new state of the art clinic! 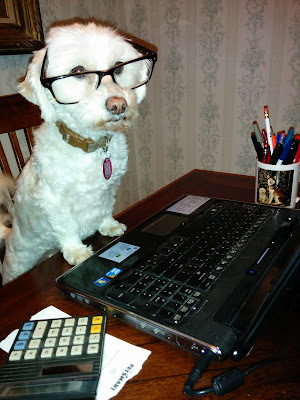 JOIN THE BLOGPAWS WORDLESS WEDNESDAY BLOG HOP!! I didn't either, but it's so cool! When he first brought it in I literally thought he was going to use it to fix something in the room, LOL!! That trip must have been so interesting! I'm intrigued by 3D printers, but I really don't understand them. I can't wait to read more about this clinic. It was a fabulous trip, I'll be blogging about the wonderful organizations we visited there soon. I'm so fascinated by them too, I loved hearing about how they use it! I know! I was so interested in it. 3-D printers just bow my mind. They are incredible! They are amazing, I can't even believe it! Wow...that is quite the clinic - amazing!! I don't really understand how 3D printers work. It just makes no sense to me. I guess I need to see one in person!